Custom made tall boot moccasins are warm enough for Minnesota Winters and original enough to be works of art. 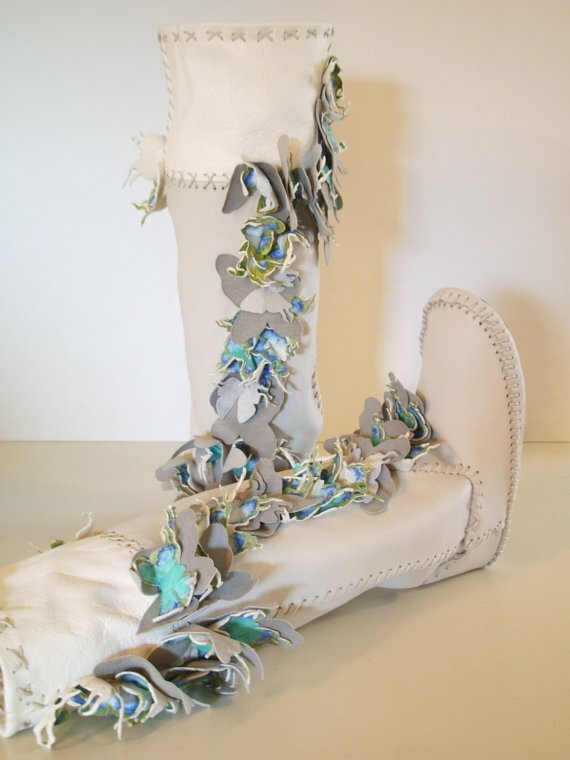 Hand cut butterflies adorn these beautiful boots. Custom colors and sizes available. Hand made by Deborah Cracchiolo of Cracchiolo Designs.